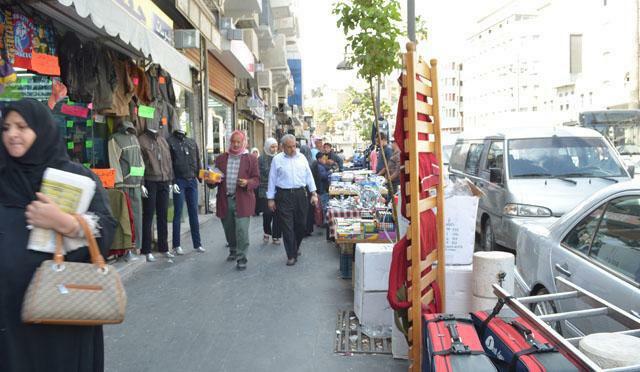 AMMAN — UNRWA schools in Jordan on Sunday reopened to start the new school year on time, despite the funding shortfall following the announcement by the US to entirely cut the financial support provided to the agency. “It’s a day of great satisfaction, pride and celebration to be able to open the school year here in the Hashemite Kingdom of Jordan. We are very satisfied that it was possible for UNRWA, despite our very difficult financial situation to open the school year on time,” said UNRWA Commissioner General Pierre Krahenbuhl at the opening of the Amman New Camp Preparatory School in Wihdat refugee camp. 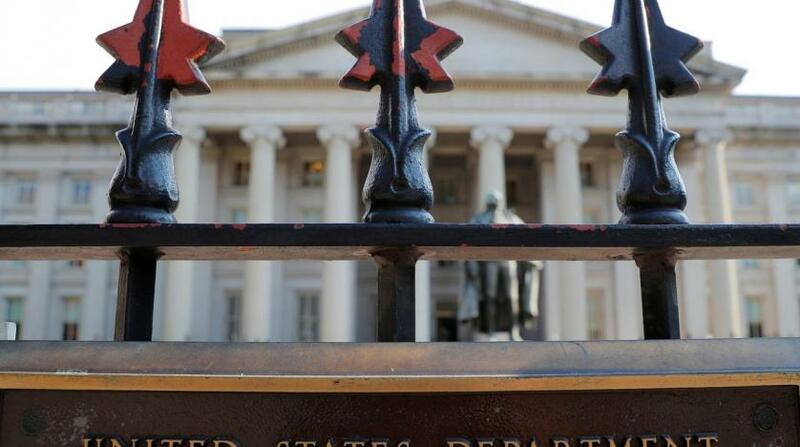 The deficit, amounting to $217 million, is an opportunity to appeal to the donor community and support the agency’s programmes for Palestinian refugees, he said. Earlier this year, the US reduced its funding by $300 million, followed by a decision of complete cancellation of the aid provided to UNRWA. Since the decision, several states have sent messages of solidarity and increased financial support, he said, noting that there has been a very sharp increase in private donations. 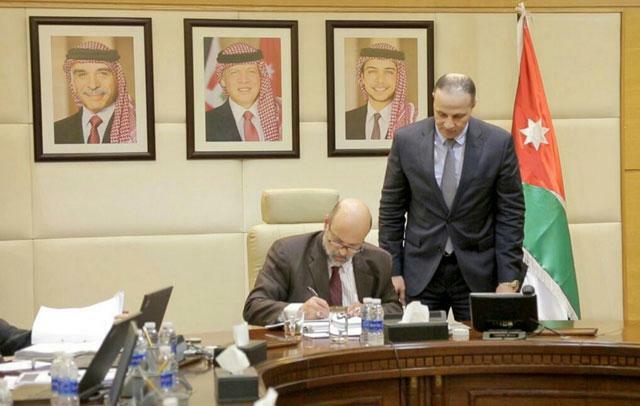 He commended the efforts of the Jordanian and Palestinian leaderships that “have engaged with the agency very actively”, in addition to the donor community that has “come to support in a critical time through contributions” such as Qatar, Saudi Arabia and the UAE, besides the “historic support from Kuwait”. He underlined Germany’s increased support to UNRWA and a multi-year agreement with Sweden, Canada, Australia, in addition to emerging partnerships: increased support from Turkey, India, Indonesia and Malaysia. “This is a response to our appeal to keep these schools open and to keep our clinics and other installations running; we are very grateful for that,” he said. The foreign ministers of Jordan, Sweden, Japan, Turkey and the higher representative and vice president of EU’s commission, are planning a special meeting at the UN General Assembly in New York later this month, which will be an opportunity to further mobilise support. 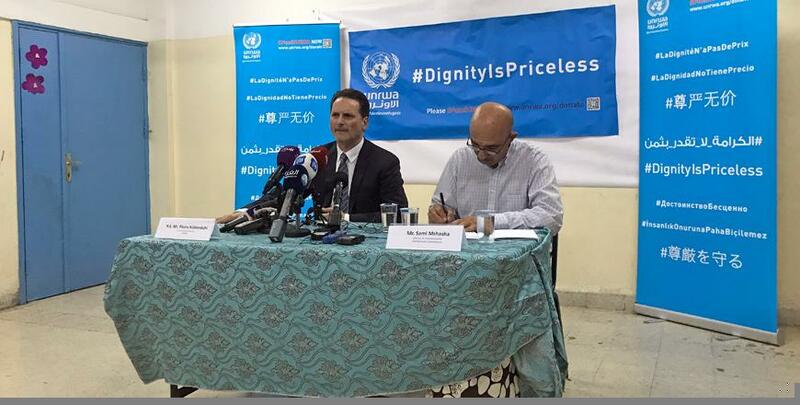 “On the decision announced two days ago by the US to cut its funding entirely to UNRWA, this is obviously a decision about which I express my deepest regret and fundamental disappointment, in particular because it has been over almost seven decades, one of the most consistent, rewarding and of the most generous partnerships that exist in the humanitarian sector,” the UNRWA official said. Citing a meeting in Washington in November of 2017, before the first measures were taken of cutting $300 million, he said there was a lot of recognition and respect expressed by senior US officials about the way in which UNRWA runs its operations. “Our operations will continue; our staff will be in schools, clinics and all of our other installations. We will seek other partnerships and paths to ensure that our continued mission is fulfilled,” he added. The UNRWA, he said, has been doing the contingency planning since the original decision announced by the US in January, to contribute $60 million only this year, compared to $364 million in 2017, which resulted a $300 million gap in the US funding this year. The move led to the launching of the “Dignity Is Priceless” campaign, through which a contingency plan was followed to mobilise attention, support, solidarity, and financial aid to the organisation. 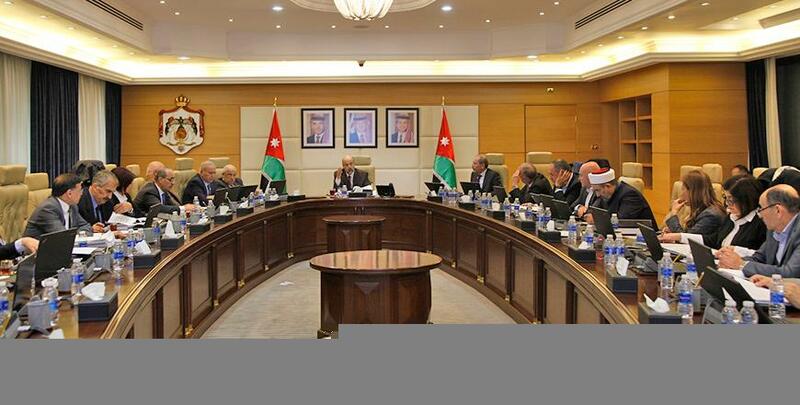 The first focus for the organisation, he continued, will be on mobilising the needed money to cover the deficit this year until December 31, he told The Jordan Times. UNRWA said the areas of focus will be education, healthcare, relief social services and emergency response. “The definition used for Palestine refugees is approved by the General Assembly of the UN and has been reconfirmed year after year by the General Assembly; it is therefore not up to an individual member state of the UN to determine a change neither in the definition, nor in the numbers,” he told reporters. Meanwhile, Minister of Foreign and Expatriate Affairs Ayman Safadi said that the issue of UNRWA is a priority for Jordan, as the Kingdom continues to exert tremendous efforts to mobilise international political and financial support to render UNRWA capable of carrying out its duties to more than 5 million Palestinian refugees in accordance with its UN mandate. The remarks came during the Lower House Palestine Committee meeting on Sunday, chaired by MP Yahya Saud, to discuss the latest developments on the Palestinian issue and the efforts of the Ministry of Foreign Affairs in this regard.